Webinar: Bringing Data + Machine Learning Together for Repeatable Success at ShopRunner. 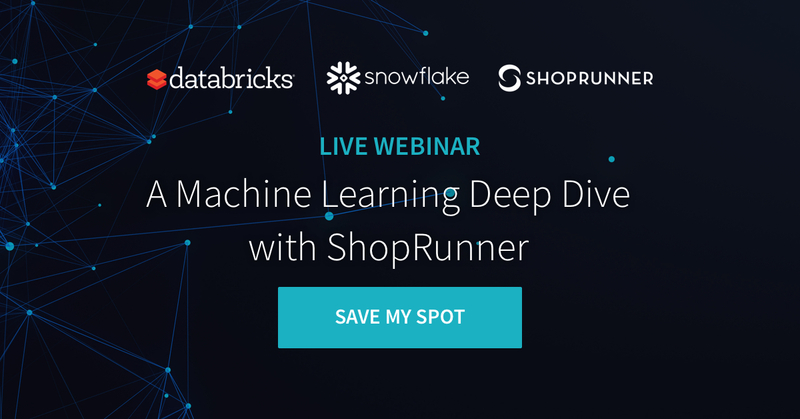 In this webinar, you'll learn how ShopRunner uses Databricks on AWS and Snowflake to tackle data science problems across personalization, recommendations, targeting, and analysis of text and images. Interested but can't attend? Sign-up and we'll send you a copy of the presentation and a recording of the webinar.